San Diego will begin to dry out Friday after a strong winter storm system dumped more than a foot of snow on the region's mountain ranges but chilly conditions would remain. Though a National Weather Service winter storm warning has expired, extremely cold overnight temperatures prompted the National Weather Service to issue a freeze warning that expired at 9 a.m. Friday. The alert warned of icy roads and freezing temperatures that could harm pets, cause hypothermia and kill sensitive vegetation. NBC 7 Meteorologist Sheena Parveen said once the warning expires, the sun will return. San Diego can expect to see dry conditions with sunshine through the weekend, though temperatures will remain chilly. Some residents told NBC 7's Erika Cervantes they couldn't even get out of there houses, let alone take their kids to school. The storm system dumped more than 20 inches of snow on Mount Laguna, with an elevation of 5,900 feet, by 10 p.m. Thursday. Julian received more than 14 inches of snow during the storm's two days in San Diego. 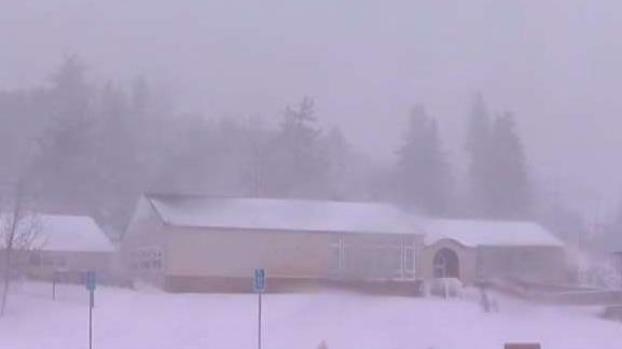 Palomar Mountain received more than 14 inches and Pine Valley Received more than 6 inches. Snowfall totals were expected to be even higher, once Friday's overnight snow is accounted for. Snow was expected to be recorded at elevations as low as 2,000 feet. The storm created hazardous conditions on roadways to and from the mountains. Several spinouts were reported on an icy Interstate 8 before California Highway Patrol officials shut down the road for nearly 12 hours. The highway was reopened just before 9:30 a.m.
By noon Friday, Sunrise Highway and SR-78 were open to traffic but chains were required for all vehicles while SR-79 remained closed. Cal Fire spokesperson Issac Sanchez urged drivers to avoid coming to the mountains for a few days and if drivers must travel in the area, to be prepared.